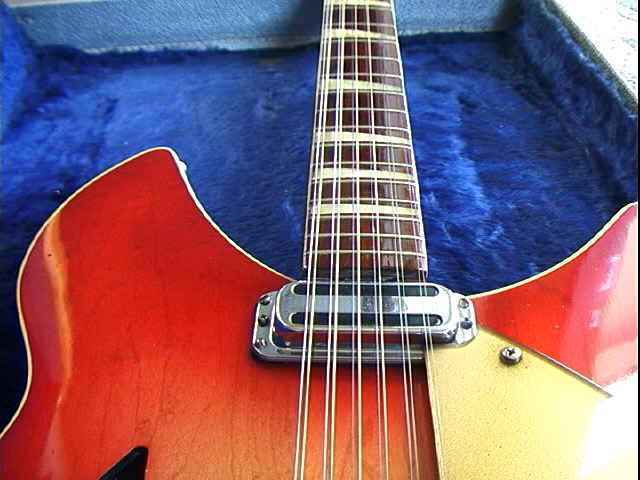 Rickenbacker Model 360/12 1963 "The First"
This guitar was made in July 1963. It was the first of it´s kind and is still today the only RIC twelve string with a conventional acoustic twelve stringing. 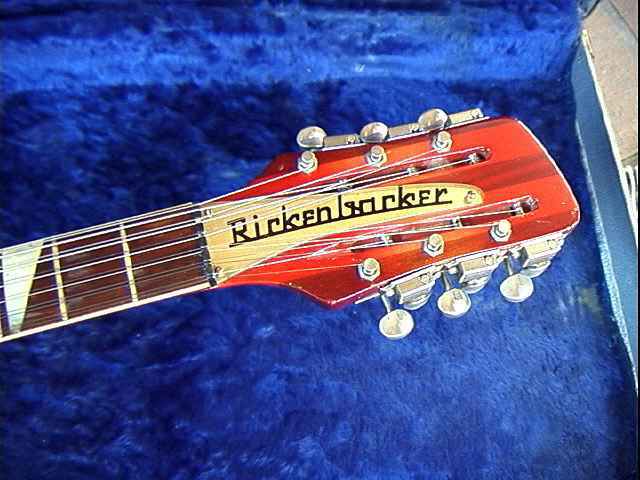 The twelfth string is octave E.
The headstock of the first Rickenbacker 12 string. 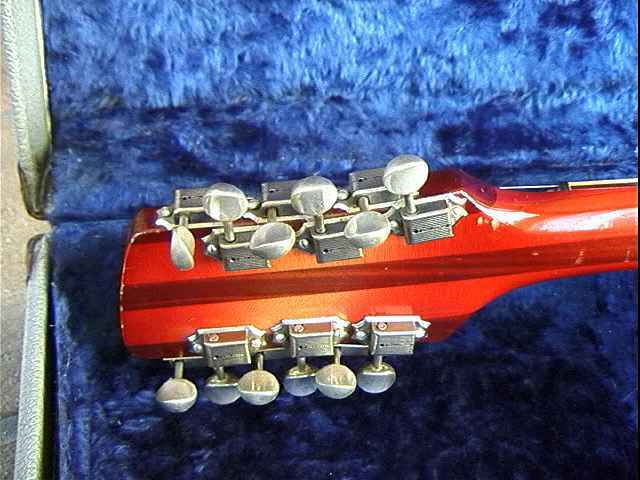 The absolutely brilliant machinehead sollution for the twelve string makes the headstock still look "normal" and the ballance of the instrument remains, compared to those rather oversized headstocks on others. 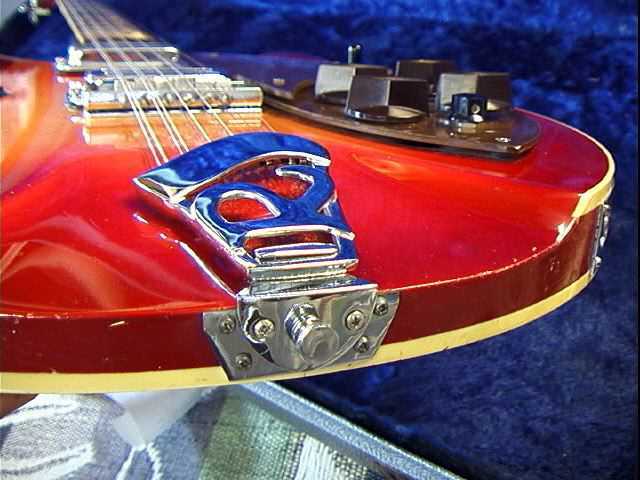 The original trapeze (flat) tailpiece was replaced with an R-tailpiece in 1964-65.Other original features were goldbacked Lucite pickguards, TV-style knobs, triangle fretboard inlays and an unbound slash-shaped soundhole. 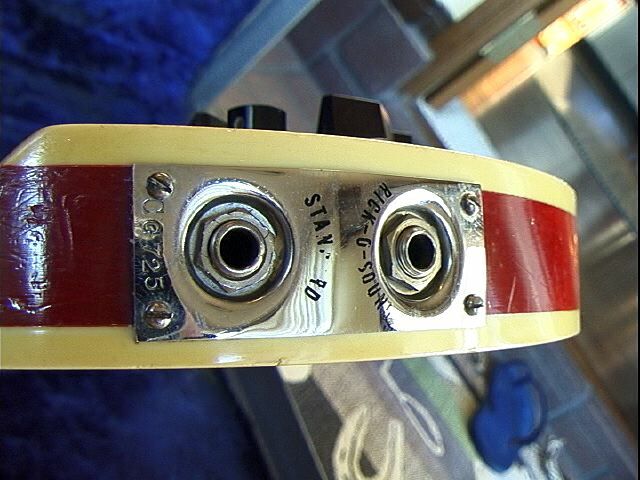 The serial number plate (CG725) and the Rick-O-Sound outputs. 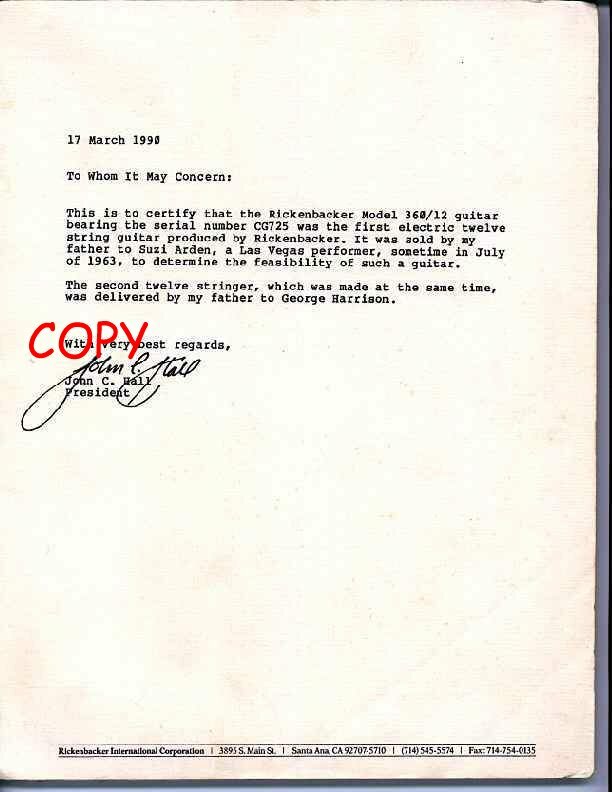 This is the authentification letter from Mr John C.Hall. Courtesy of the owner Oyama Katsuyuki. Pictures shot nov 8, 1998 for Björn Eriksson´s Rickenbacker Page.